Lightning storms struck again but a flash of inspiration helped Wallis stay in a share of the lead, writes the PGA. The Walmer & Kingsdown pro, leader by one at the halfway stage after a second round 68, holed a sensational shot from a greenside bunker on the sixth hole of the third round to get to eight under and level with Higgins. It was the last decisive act of the day at the top of the leaderboard with thunderstorms forcing play to be called off with the result that the £15,000 tournament has been reduced to 54 holes with the first day’s play also being lost to weather. Earlier in the day, Wallis had completed a second round 68 to lead by one from Waterville Links pro Higgins who couldn’t muster the form of his first round 66 instead settling for a rollercoaster 70. Higgins identified a par putt on the 14th during his second round as his best shot of the day, going on to birdie three of the last four holes. “I was all over the place in my second round, I could not find my rhythm,” he said. “I hit it in the water off the first and was either good or bad but I was proud of how I hung in there. “I holed a great par putt on 14 when I was in danger of going three over for the round and then birdied three of the last four so I was pleased how I turned it round. Wallis, who pipped Higgins to the play-off title 12 months ago, was pleased with how he wrapped up his second round and also his bunker shot. “At the end of the second round I actually used my Bushnell to check out the leaderboard scores on the last green. I could see it would be useful to hole this and I duly holed a 12 footer for birdie to go one in front,” he said. “In the third round I made a soft bogey up the first but got a birdie with a good up and down on the third. “On the sixth I tried to hit a soft cut four iron and hit the pin high trap. The pin was cut seven feet from the right but I played a flop shot out, the ball landed on top of the apron, dug its boots in and rolled in for a nice little birdie. “It was timely because David had made an awesome eagle up three, birdied five and was standing over a 16 footer for birdie on six. I think when I holed it out the trap it made a little bit of a difference because he left it three foot short. 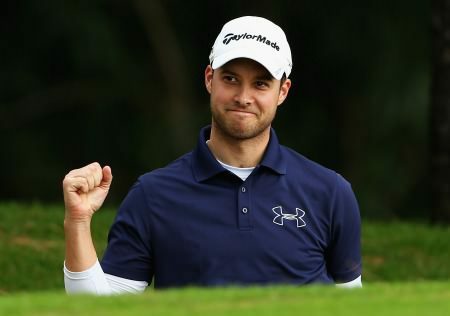 The top three qualify for the Great Britain & Ireland PGA Cup team to face the United States at De Vere Slaley Hall and Scottish pro Greig Hutcheon carded a second round 67 to keep his hopes very much alive. “It’s getting pretty frustrating, it’s been a long week. We’ve had spells of golf where it’s been golf all day and then spells sitting in the club house,” Hutcheon said. 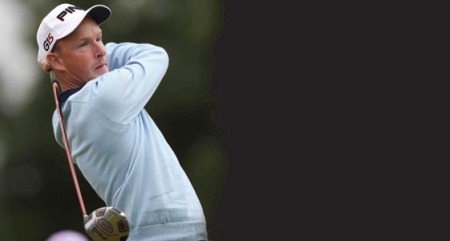 Warrenpoint native Barrie Trainor was tied for sixth after a second round 71 and while he also has a chance of a top-three finish, he’s on course to make the Top-10 who qualify for next year’s BMW PGA at Wentworth. Places in selected European and Challenge Tour events, such as the Welsh and Scottish Open, will be confirmed once the respective tours have finalised their 2013 schedules. Meanwhile, Cahir Park’s David Ryan shot a one under 70 to move up to tied 18th on six over. Peter Martin leads the 54-hole PGA Irish Championship at Mount JulietBelfast talent Peter Martin cracked six birdies in opening 67 to lead the weather-reduced PGA Irish Championship at Mount Juliet.